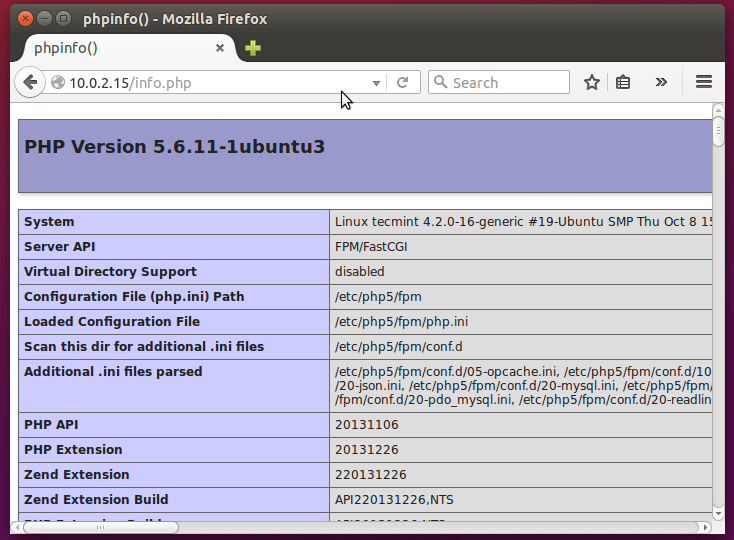 Ubuntu 15.10 Wily Werewolf has been released a few days back and you can now easily install LEMP on it. 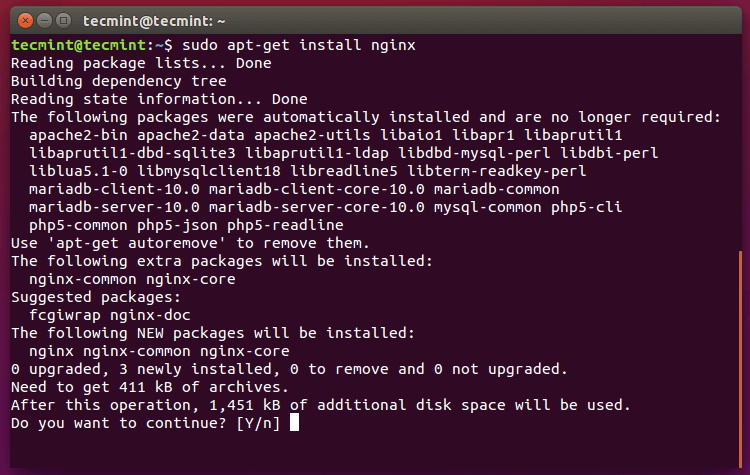 For those of you who don’t know what LEMP is – this is a combination of software packages – Linux, Nginx (pronounced EngineX), MariaDB and PHP. You can use LEMP for both testing purposes or in a real production environment to deploy web applications. You may wonder what’s the different between LAMP and LEMP. 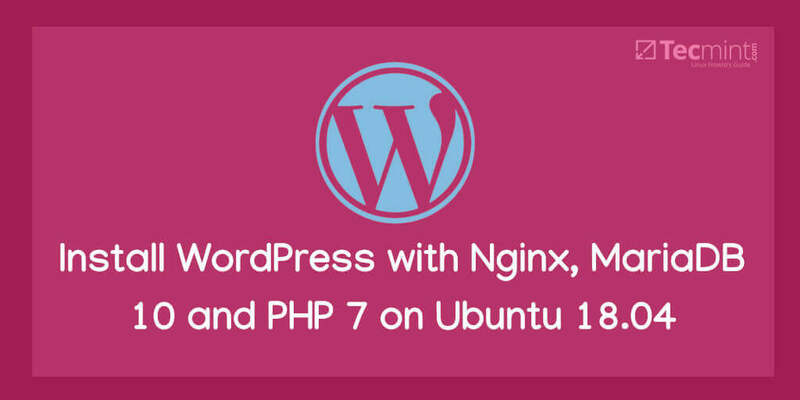 Well the only different is the web server that is included – Apache (in LAMP) and Nginx (in LEMP). Both web servers are pretty good and while Apache is the most frequently used one, Nginx doesn’t back down in any way. 1. Nginx is a fast modern web server designed to server many concurrent connections without consuming too much server resources. This is why it’s often the preferred choice in enterprise environments. 2. Now it’s time to check if the Nginx installation was successful by calling the Nginx page via browser using server IP Address. If you don’t know your Server IP address, you can find using ip command as shown. 4. 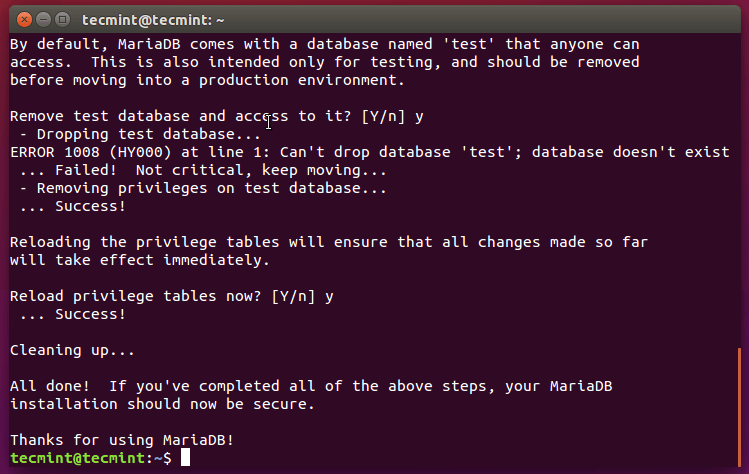 MariaDB is relatively new relational database management system which was designed as community fork of MySQL after it’s Oracle acquisition. 7. 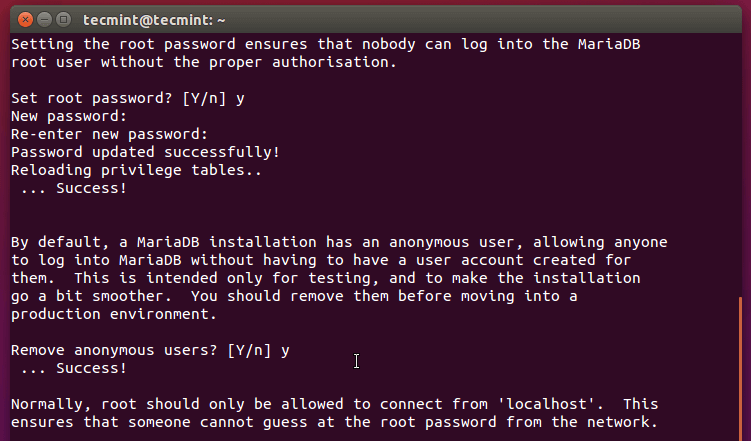 By default MariaDB allows connections from anonymous users. 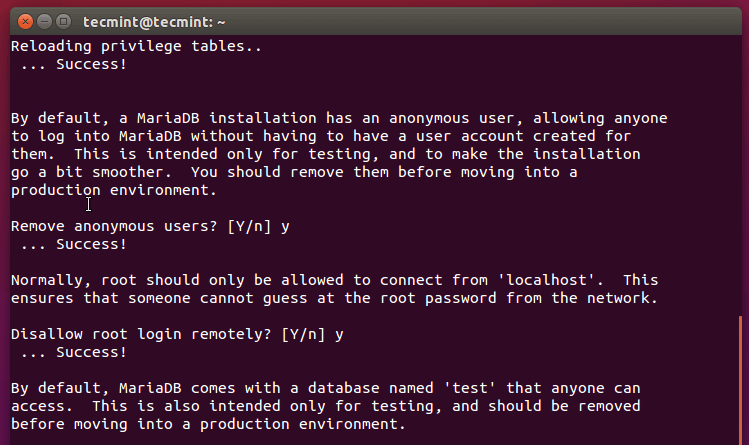 You should disable anonymous logins as well as disable remote root access to the databases on your database server. 13. 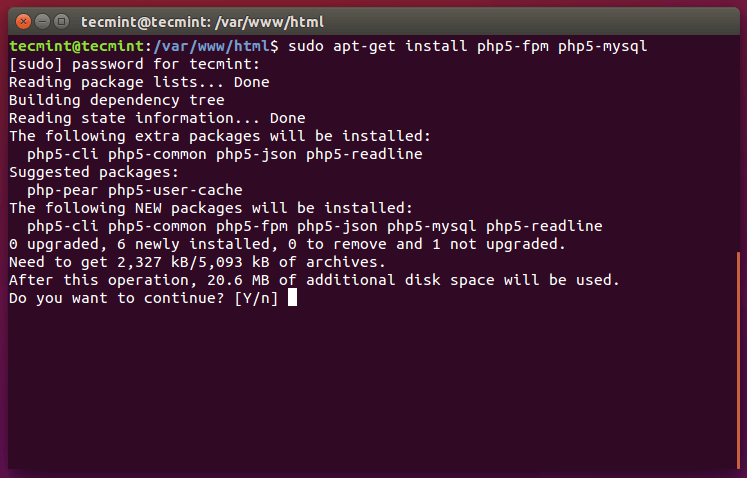 Next we need to configure Nginx so that it can use PHP that we just installed. To do that, we need to modify the server blocks. Congratulations! 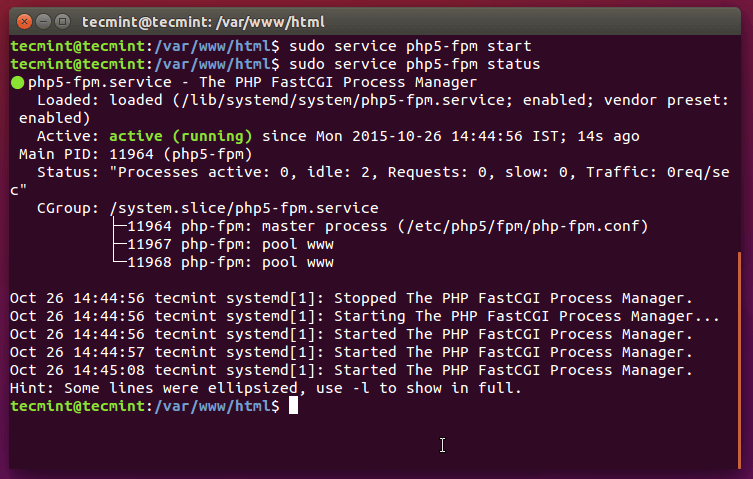 Your LEMP setup on Ubuntu 15.10 is now complete! 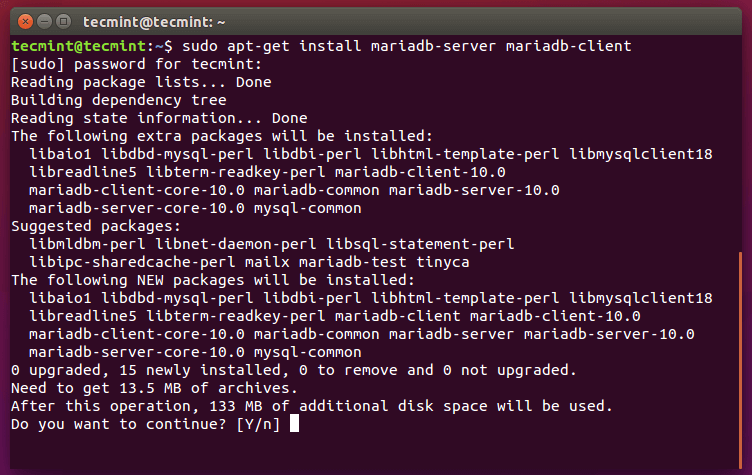 Your LEMP setup is now complete and you can start building your web applications or simply play with the Nginx and MariaDB services you just installed. 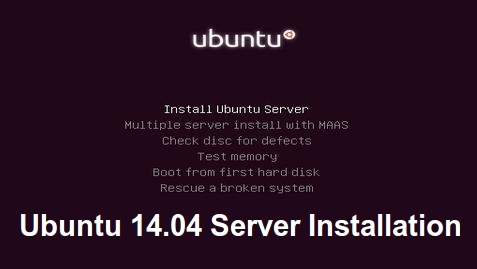 These are widely used and gaining more knowledge in them is highly recommended for system administrators. Thank you a lot for this manual!!! 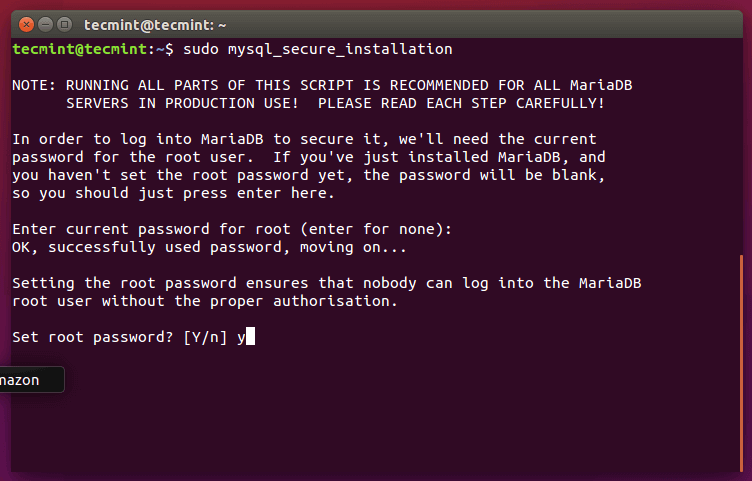 No command ‘mysql_secure_intallation’ found ???????????????? 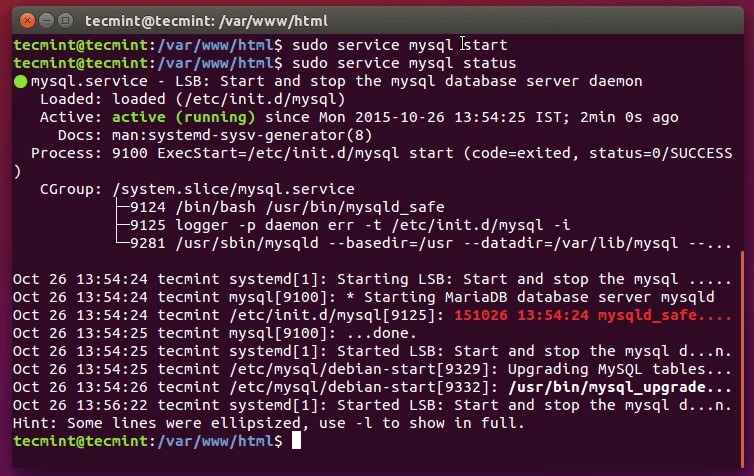 Sorry for the trouble, the correct command is ‘mysql_secure_installation‘.